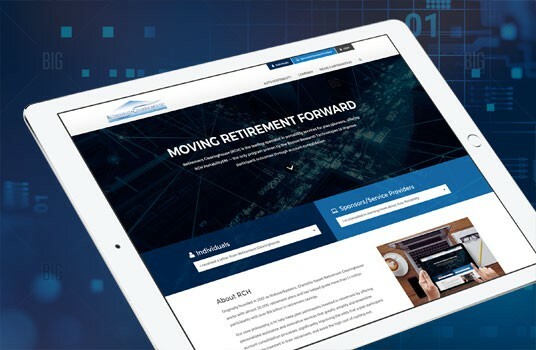 Retirement Clearinghouse (RCH) is the leader in retirement savings portability, offering RCH Portability -- the only program proven by Boston Research Technologies to reduce 401(k) cashouts, preserve retirement savings and address the small account problem. Retirement Clearinghouse (RCH) provides retirement plan sponsors with services that move retirement savings forward as their participants change jobs, delivering true plan-to-plan portability. For plan sponsors, RCH's services solve the small account problem, decreasing plan costs and reducing fiduciary liability. For participants, RCH's solutions improve outcomes by preserving retirement savings, increasing average balances and promoting retirement readiness. RCH Auto Portability℠ is the enhanced standard of care for an automatic rollover program, reducing cashouts by 52%, while helping participants receiving mandatory distributions (<$5,000) consolidate retirement savings into their current-employer's plan. RCH Managed Portability℠ is for all participants, all balances and relies upon participant consent to consolidate retirement savings. Our Assisted Roll-In and Assisted Roll-Out services provide participants with education and end-to-end assistance in consolidating their retirement savings into their current-employer's plan or into an existing IRA.